We specialise in international road transport of full loads. Our high standards and know-how guarantee our customers a wide range of business benefits. At every stage of cooperation. Tandem-trucks: 38 euro pallets, 120 m3 (up to 24 tons of load capacity). We have a large, modern fleet of trucks that are ideally suited to international transport. One of the most important European-trading partners for Poland is Great Britain, not only in terms of exports, but also imports. 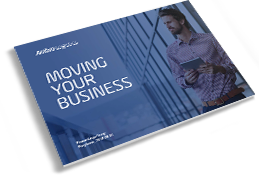 The volume of shipments is growing year by year. To meet the varied needs of our clients, we offer new, direct, line connections between Poland and Great Britain that guarantee rapid and reliable part-load transport. Our new transport line of group shipments and part loads works with a regular rhythm. This means the whole process lasts up to a week. Loads are picked up in Poland every day and delivered in Great Britain the following week (usually on Monday or Tuesday). Regarding transport from Great Britain, we pick up goods every day and deliver loads to our warehouse in Przykona within 48 hours! Then the goods are transported to their destinations within the following 2-3 days. *The offer refers to small loads which can be delivered by bus, or personal delivery to our warehouse in Przykona. In 2014 Ambro received the following certificates: TCC as well as TCF. testifies our belonging to an elite group of carriers and promotes honest and reliable entrepreneurs who operate in the transport sector using transport services of trucks of at least 6 tons permissible maximum mass. What’s more, it guarantees greater trust among contracting parties and easier acquisition of transport orders by publishing information about members of TCC. 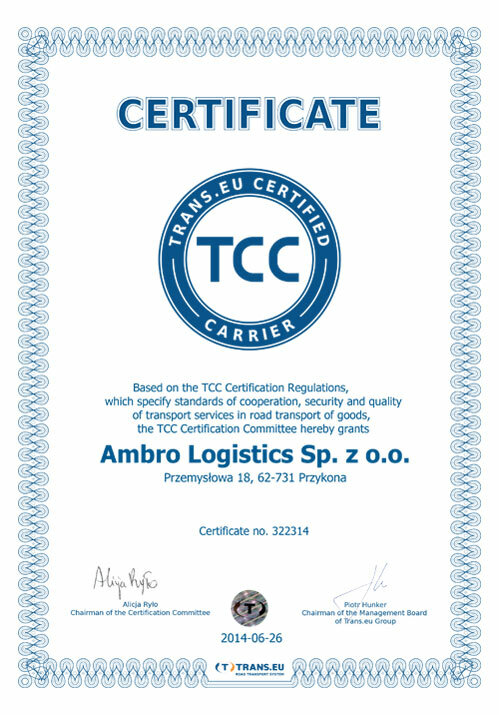 Trans.eu Certified Forwarder testifies of belonging to an elite group and promotes honest and reliable entrepreneurs, who operate in the spedition sector. It guarantees greater trust among contracting parties, easier acquisition of transport orders by publishing information about members of TCF. We will contact you as soon as possible with your custom-made offer, answer any questions you may have and provide you with appropriate solutions, according to your needs.